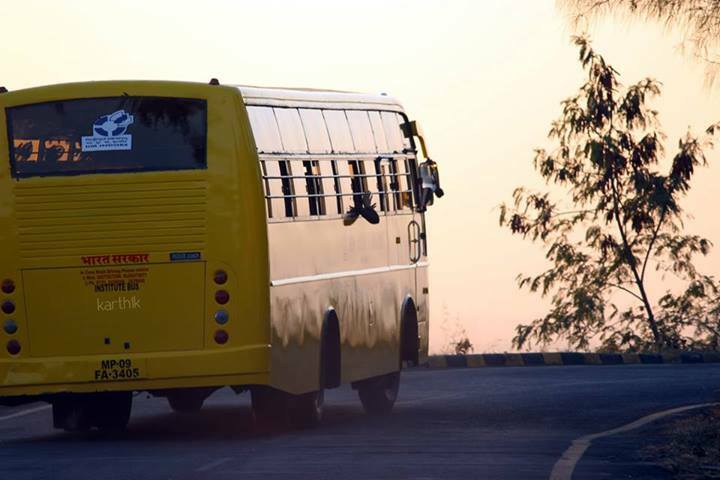 Situated atop a scenic hillock, the institute blessed is with scenic beauty and has been further enhanced with remarkable architecture, structural designs and facilities. 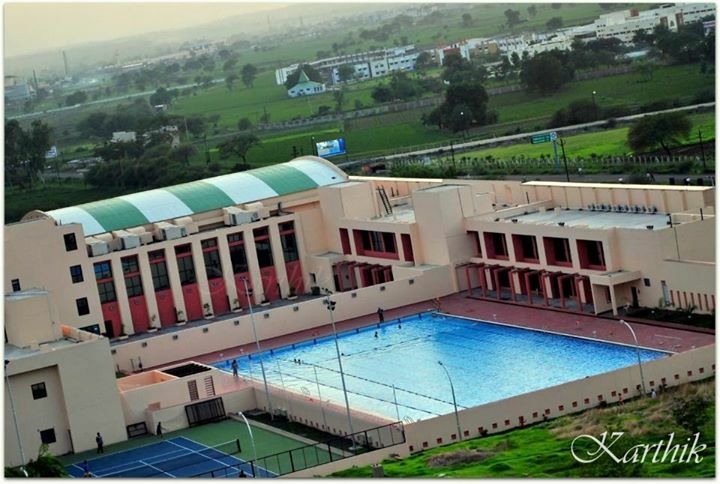 IIM Indore is surely regarded as one of the most beautiful campuses in India amongst students, parents and professionals alike. The 193 acre campus provides an ideal backdrop for contemplative learning. 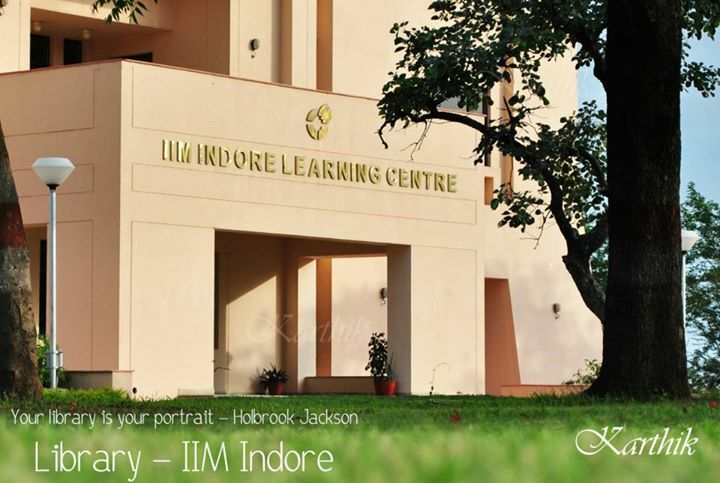 Everyone who stays in the campus is bound to leave with an indelible impression of the experience at IIM Indore which is brought by a combination of the learning, culture and the ambience of the institute. 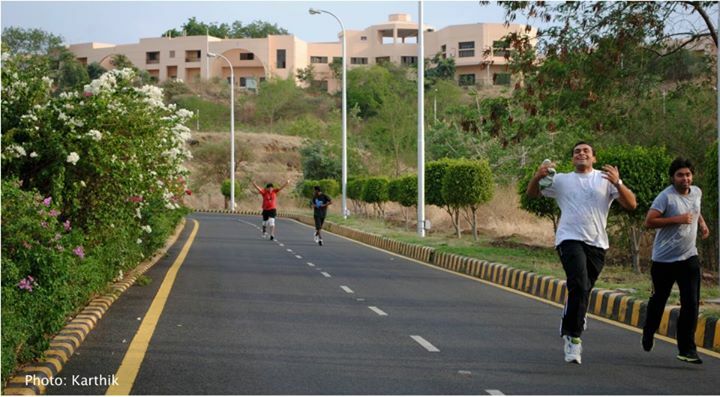 The pace of the development in infrastructural facilities in IIM Indore has been nothing short of phenomenal. 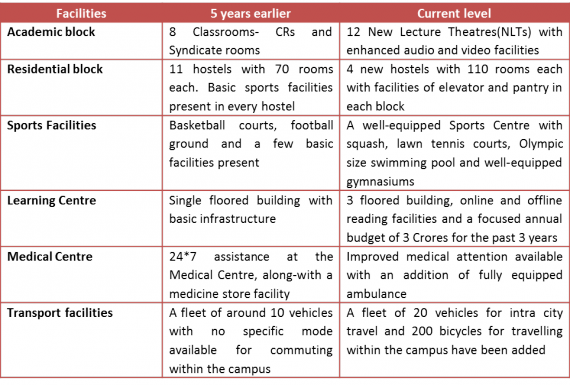 The institute has added new lecture theatres, well-equipped gymnasiums and extended sports facilities like squash and lawn tennis courts in the past 2 years. Also, many of the other developments notably the Olympic size swimming pool, sports complex and the new auditorium with a huge seating capacity of 812 have taken place over the last 3 to 4 years. 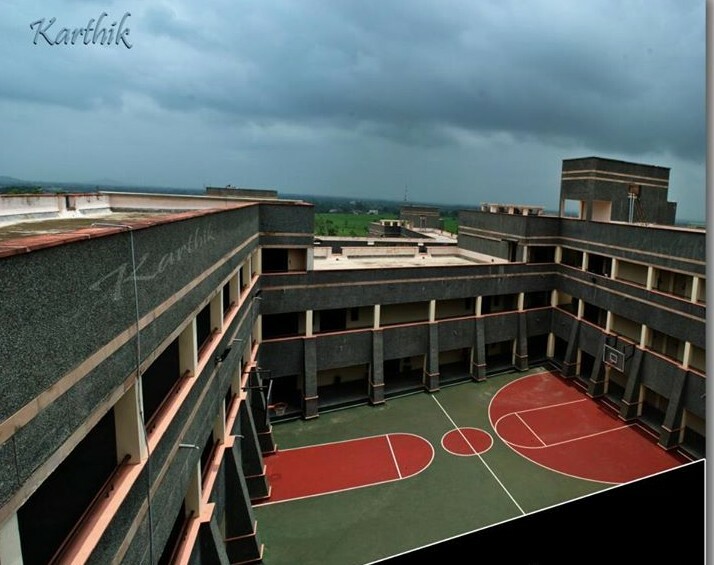 Alumni batches that have revisited the campus in the past few months have been thrilled to see the rapid developments that have been brought about in the campus. 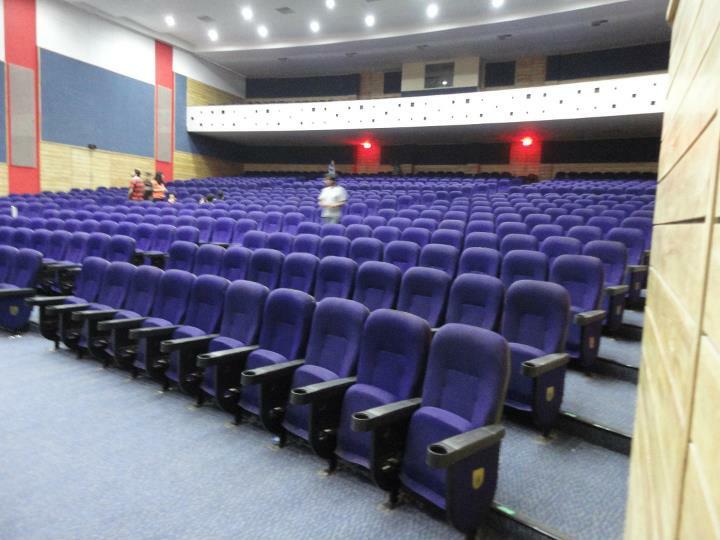 The new auditorium of 812-seating capacity is being used to organize national/international conferences, seminars, orientation programs for PGP participants. In addition to the above, latest and classic movies are being screened on every Saturday in the auditorium. 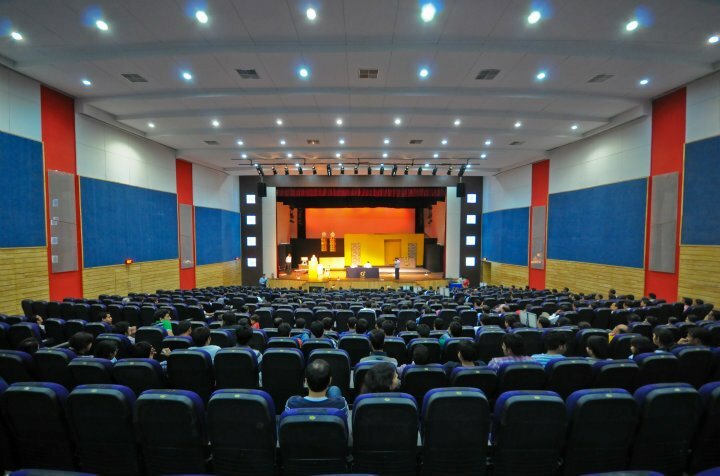 IIM Indore is one of the first educational institutes to have the facility of screening the latest movies for all its students. It has become one of the most sought after facilities since its inception. The qualified and experienced swimming instructors plan and develop swimming programs to ensure maximum benefit to IIM Indore community. The LC building has a sprawling space of about 27000 sq. 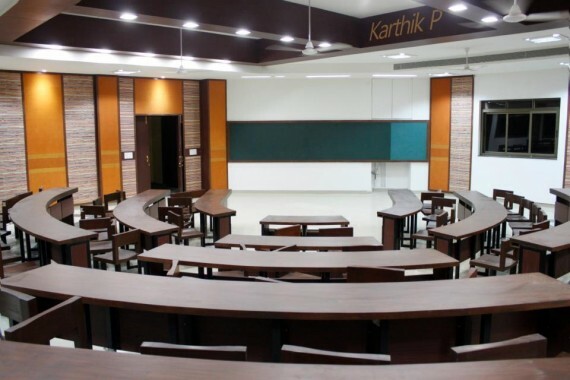 ft., with central air-conditioning and designed areas for different sections of the IIMI LC, providing the right ambiance for reading and reflection. 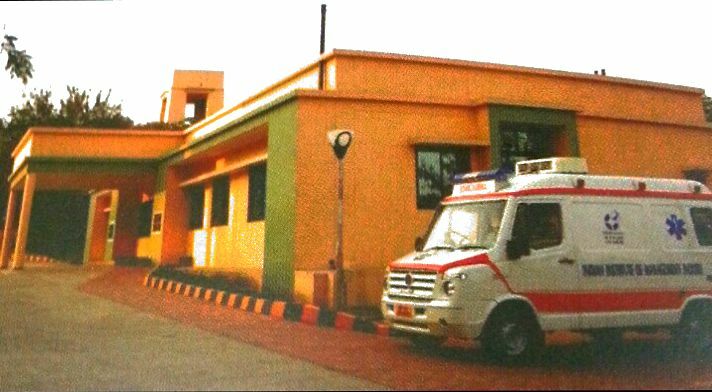 With an average annual budget of around INR 3 crores, the LC of IIMI is indeed one of the biggest assets of the institute. 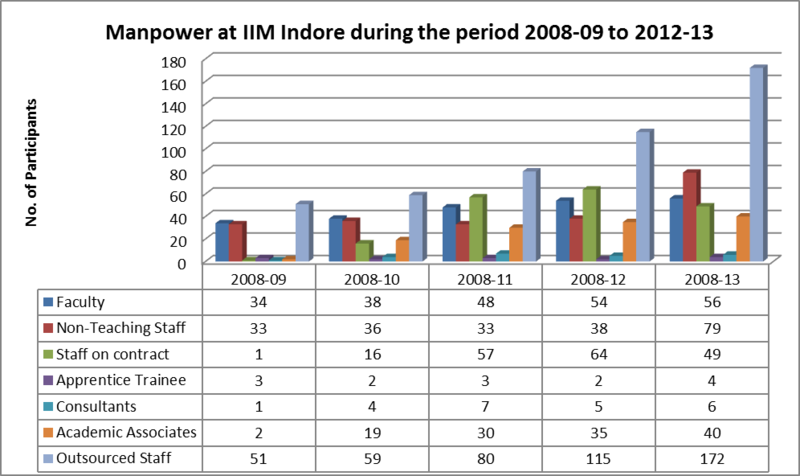 – With the addition of the new network setup, IIM Indore’s total number of network nodes has increased to 2550. – Implementation of cloud based ERP solution for all academic and administrative activities initiated during the year 2012-13. – Institute has shifted to 1 GBPS internet link along with a new Firewall UTM from Checkpoint. 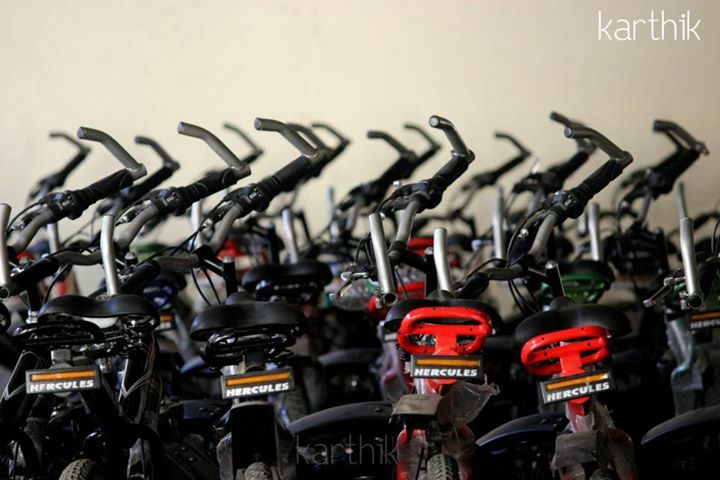 Also, there are more than 200 geared bicycles for the intra-campus commuting of the students. The state-of-the-art architecture and upcoming developments exemplify the standing of IIM Indore as one of the fastest growing IIMs in terms of academic brilliance and grooming of the potential managers. IIM Indore is committed to have a dominant presence in all segments of management education and to evolve as a contextually relevant business school with world class academic standards and infrastructure facilities. 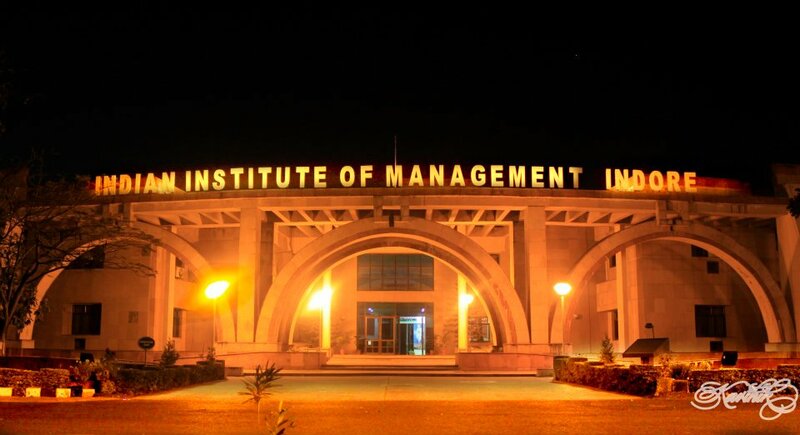 IIM Indore will continue its development spirit so that the faculty and students can realize their full potential by access to world-class facilities in association with the prestigious institute; thus continuing the tradition of making the experience at Planet-I to be remembered for a lifetime. (Editorial note : Recently, IIM Indore’s media committee sent us a note on the Infrastructure creation at IIM Indore in the last 3 years. Given the fact that it is a government body and that they have moved to this campus about 10 years back, the story is noteworthy. However, what is remarkable is the pace of execution over the last 3 years. 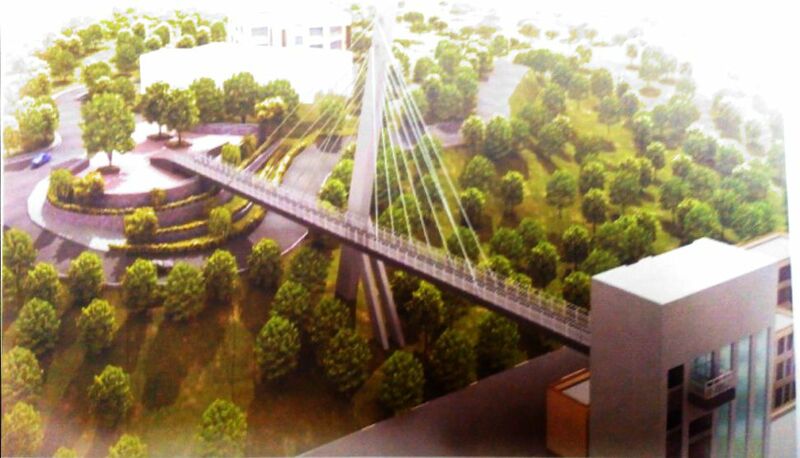 For someone who visited the IIM Indore campus in Jan 2011, it seems like a completely different place now in Jan 2014. Few business schools in India have created infrastructure at that pace. 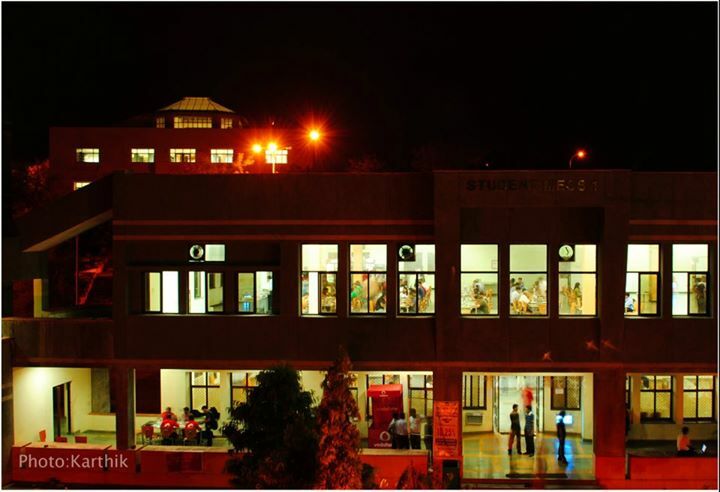 It is one of the few IIMs with a full-fledged university feel with over 1500 students and the wide gamut of activities. The 2 year fee for the PGP programme at IIM Indore has gone up in the last 3 years but so has the quality of stay for participants. 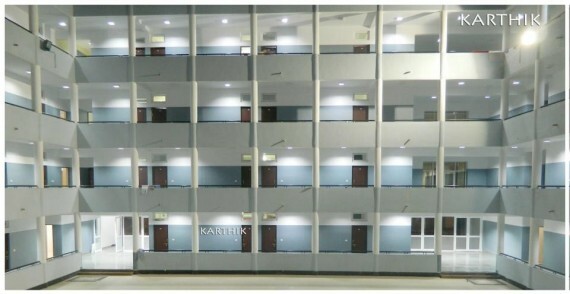 All 900 PGP students have single room accommodation. 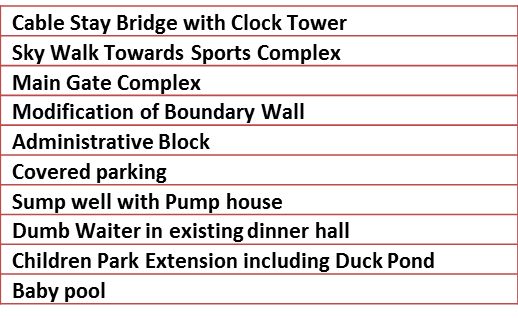 The bio-metric attendance system, the ability to record classes, simultaneous broadcasting in 12 rooms, the concept of cycles and the state-of-art sports complex etc. are eye-catching. Of course, IIM Indore has a long way to go to be at par with global schools. Quality and research should be focus areas given that a strong infrastructural base is ready now. Also, there is little information on what steps have been taken to be in sync with the new world where MOOCs and effective online education delivery become increasingly disruptive. They are free to publish whatever they want. We may or may not write an editorial note. Other IIMs like IIM Calcutta have also written many article over the last few months. @rs47 – Dear Sir, you need to understand that we are not publishing any story. The platform is now open for any school or individual to self-publish. We just check for spam/slander and add our comments if we deem fit. Unfortunately, your school hasn’t made the efforts to use the platform. Please check the All Stories tab. There are over 25 schools who have published stories over the last 1 month. Maybe, you are obsessed with IIM Indore since you only notice IIM I stories and comment on each one of them. Why? There are stories by Media committees of IIM C, IIM S, IIFT etc. Why don’t you read and comment on them too? By the way, you are welcome to start writing and publishing immediately! You can write about FMS, your internships, your job, your wedding – anything. If one speaks to anyone who has visited the campus in the last 1 year, then all the information mentioned is 100% true. 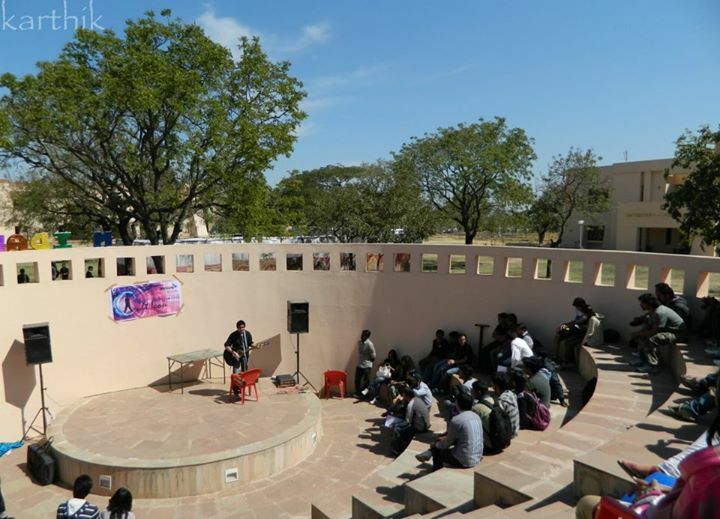 The article has beautifully described the campus, and IIMI is undoubtedly one of the most beautiful campuses of the country. In the first para itself, the article mentions that someone who hasn’t visited the campus in the last 3 years wont believe all this. Thus I believe that one should rather congratulate and appreciate the fast-paced developments that have institute has been able to successfully achieve. can any one give some idea way of teaching U. K. Bhattacharya , (faculty in Operation Management and Quantitative Techniques) . IIM I may be good hotel but not good educational institute . 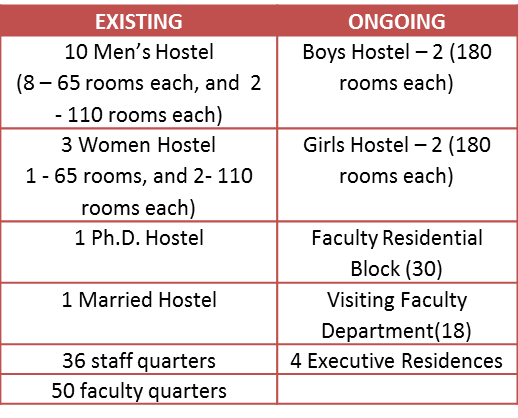 Its not about making a hotel, rather its an attempt to justify the fees that the institute is charging (which is anyways at par with most other IIMs and top b-schools). You have full right to share the link about one unfortunate, media over-hyped issue, but there are a hundred more links which prove the actual worth of the institute. And the name of the institute speaks it all.